This page is aimed to help you achieve the best out of ordering bespoke glass from us. Here you can find more detailed information on our processes so that you can get the best glass for your requirements. 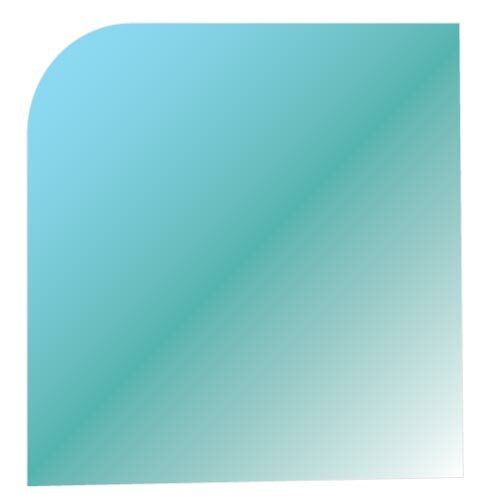 Your regular glass used throughout our lives wherever applicable from Windows, doors, balustrades etc. The uses are endless. 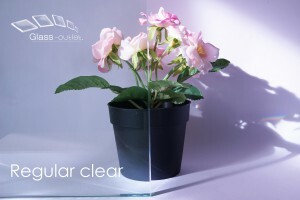 Regular clear toughened glass has optimal transparent qualities for everyday use and the strength that current toughened glass possesses (BSEN 12150), which is suitable in almost all applications. The only use where clear glass should be avoided is when you wish to paint the glass as regular clear glass has a slight green tint, when glass is painted or coloured the colour will mix with the green tint and the actual colour that was intended may not appear as vibrant. 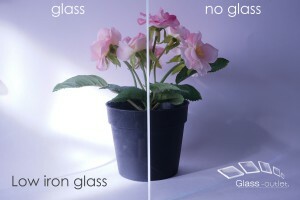 The most commonly used glass in our day to day lives, can be used wherever your imagination takes. 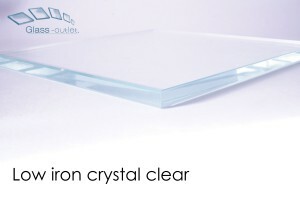 Toughened clear glass provides optimum strength and safety and is safe to be used in environments where safety is of importance such as bathrooms. Low iron has become increasingly popular due to its appealing almost crystal clear look. Low-iron glass has a reduced level of iron making the glass less green, depending on what glass thickness you use the colour is more like a very light blue/crystal clear tint. When polished the look of the glass is quite stunning, low-iron glass is the ideal glass to be used when you are going for that wow factor, it’s use has increased over the years and can now be commonly found in a variety of uses even as windows. It’s crystal clear look has also practical benefits. Low-iron is the ideal glass to used when painted, coloured or any other visually based design is applied. The greater clarity in the glass allows for colours to be more vibrant, and a closer match to what was intended, the crystal clear look allows for much better colour vibrancy. Crystal clear look provides a beautiful look, almost diamond like when polished, great for striking finishes. Great clarity of transparency, making it great when painted or designed upon. Doesn’t offer any disadvantages over regular clear glass. A rival to regular toughened glass, laminates offer safety features that make it an important solution to many uses. 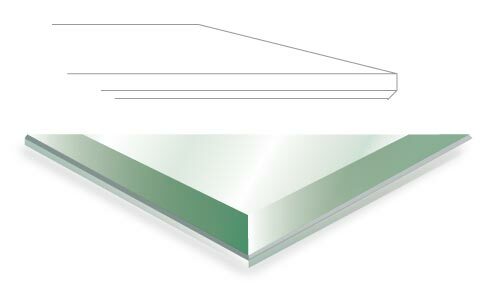 Laminates are effectively two pieces of glass held together with a thin sheet of PVB (poly vinyl butyral), which glues the two sheets together. 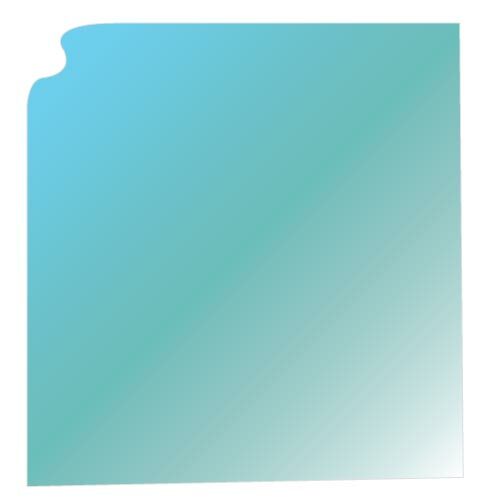 This thin interlayer in between holds the pieces of glass when the glass is broken. 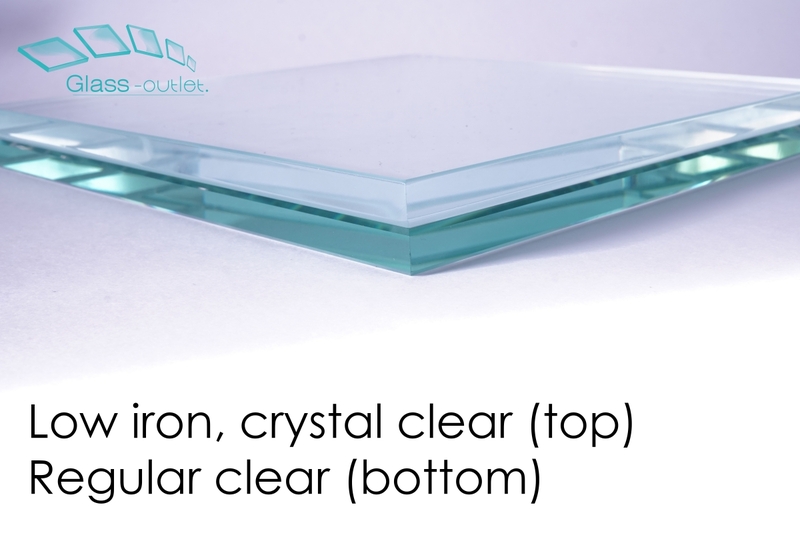 The dangerous sheets of glass are held in structure without shattering into small pieces such as in toughened glass. The use is important especially in high rise areas, better at anti-theft and bespoke uses such as in fish tanks. Superb safety as when broken shards of glass are held by the interlayer maintaining its structure. Better security as breaking the laminate still maintains its structure, giving anti-theft benefits. Laminate glass offers better sound insulation than regular glass. Glass can be bespokly laminated utilising different glass types and thickness, creating new creative glass types and uses, such as toughened triple laminated which would be suitable for walking on. The possibilities are amazing for bespoke laminated products, please get in touch for more details. Regular laminated glass can be amended (cut-down, holes drilled etc) at a later time as the pieces of glass are not toughened. 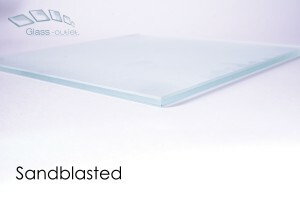 Toughened glass cannot be processed on once toughened. Toughened laminated panels offer even greater strength, please get in tough if you wish to enquire about toughened laminated units. 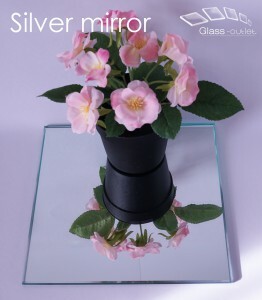 Glass silver mirrors are still superior to rival materials such as acrylic. Providing a beautiful reflective glass finish with the option of bevelled and polished edges, glass mirrors look great wherever the use and will always be a popular solution for mirror solutions. 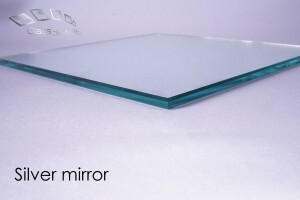 Glass mirrors cannot be matched in beauty by other materials, especially in polished and bevelled forms. Can be processed with holes, cut-outs, shaped, sandblasted on etc. to create endless possibilities for design. 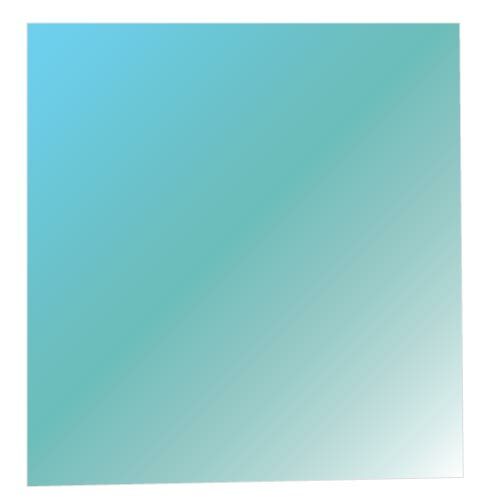 From splash-backs to mirrored ceilings the possibilities of glass mirrors is exciting. 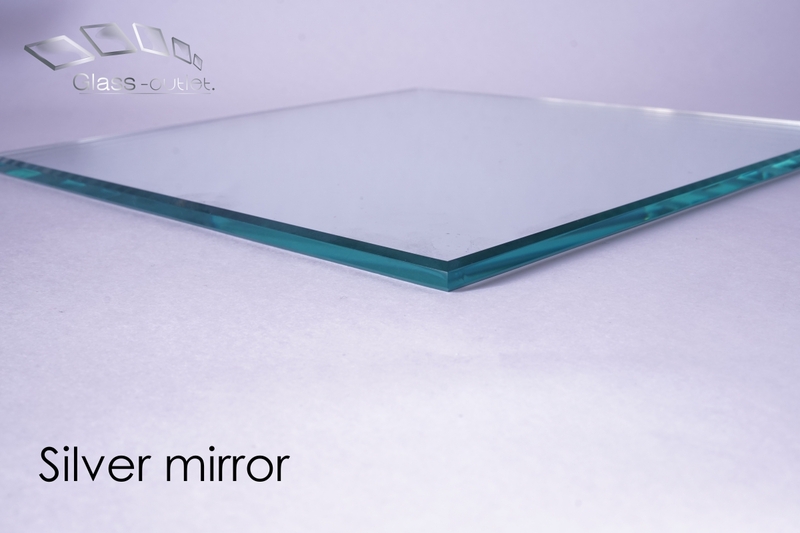 Mirrors are supplied as non-tough, to ensure reflections are perfect (toughened glass slightly distorts the glass, often making reflections distort). 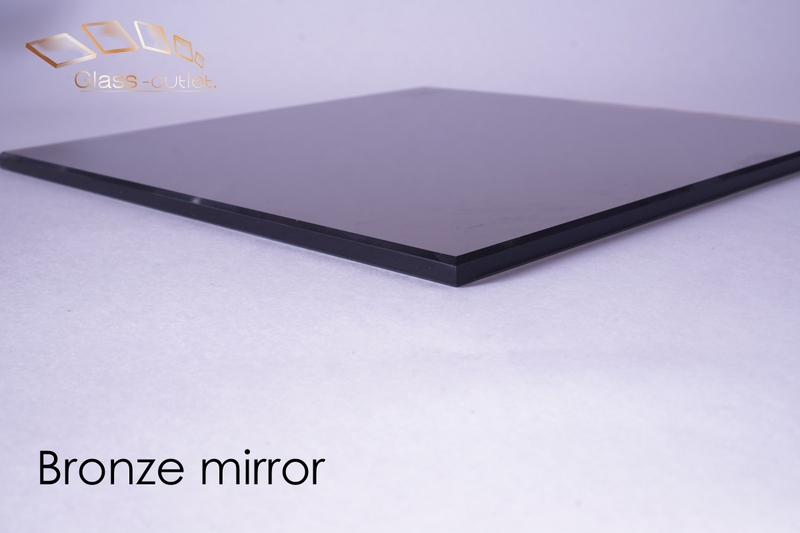 However, to make mirrors safe, safety-film or foil backing can be applied to the back of the mirrors (see below on the calculator with mirror selected to see which backing is best for you). A glass mirror with a hue of bronze tint inside. 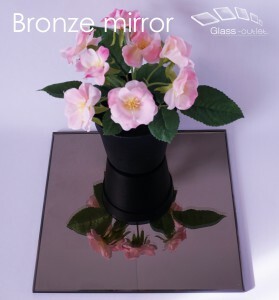 Bronze mirrors offer a visually appealing design. Looks stunning if you require something unique for your project, stunning on splash-backs, wall cladding, table tops etc. A unique mirror with a stunning bronze tint effect, great for decorative use. A glass mirror with a hue of dark grey tint inside. 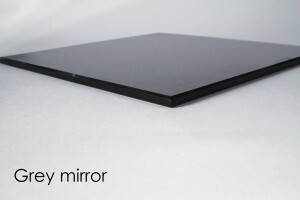 Grey mirrors offer a visually appealing design. Looks stunning if you require something unique for your project, stunning on splash-backs, wall cladding, table tops etc. 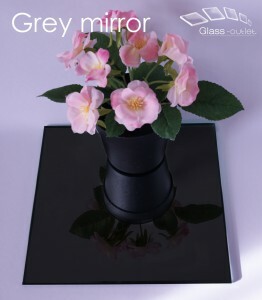 A unique mirror with a stunning grey tint effect, great for decorative use. 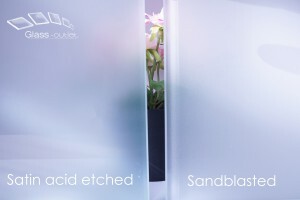 Similar to acid etched satin, sandblasting the glass frosts the glass by impacting sand onto the surface of the glass. 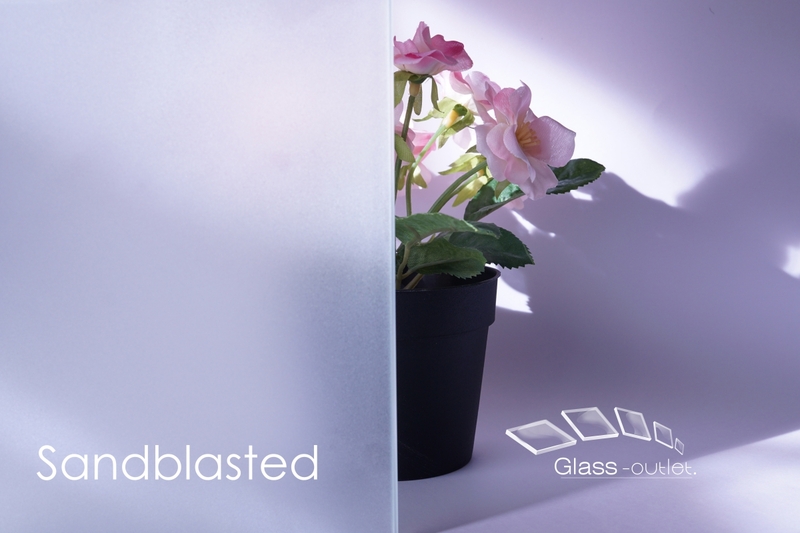 The frosted effect is very similar to satin glass, but leaves a more frosted effect with more of a powdered rough surface. Again sandblasted glass can be used for privacy use. The advantages of sandblasting over satin acid etched is its ease of application and versatility in design. Sandblasting designs offer very attractive results in a variety of uses from windows, showers, doors, signage, mirrors etc. We apply a clear shield protective coating by Ritec onto the sandblast surface, this greatly reduces the chance of marks and smudges on the glass and well as protecting the delicate sandblast layer. Great versatility in applying sandblast designs. 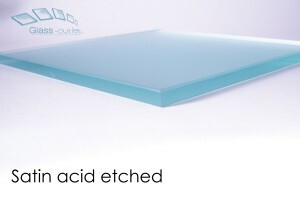 Can easily be applied to all glass types and thicknesses to create unique finishes affordably. Frosted effect is ideal for use when privacy is of importance. 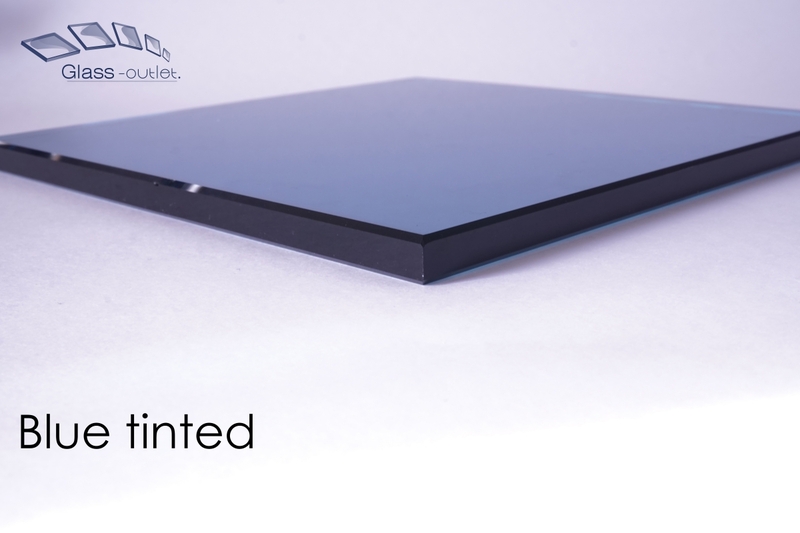 Tricky to clean, fingerprint magnet, not as easy to clean as satin glass, therefore we advise to avoid contact with the sandblasted surface, and keep it away from exposure as much as possible. To reduce this issue, we apply a sandblast protective coating as standard. 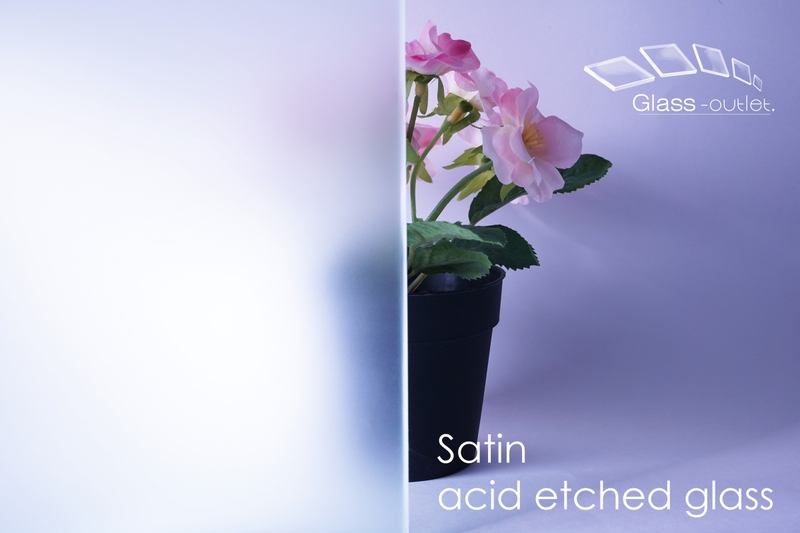 One surface of regular glass is coated in an acid during manufacture, the acid etches the surface and achieves a misted frosted finish. The frosted finish is almost opaque whilst allowing light to glow through. Satin acid etched glass is suitable for privacy, making it a good option for use in bathrooms or privacy screens. The acid etch surface is also visually appealing, when illuminated well, the glass spreads light pleasantly to give an illuminated glow. 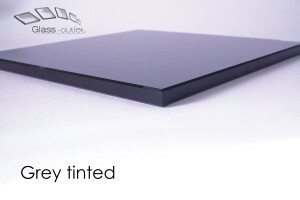 Frosted satin finish is suitable for privacy. 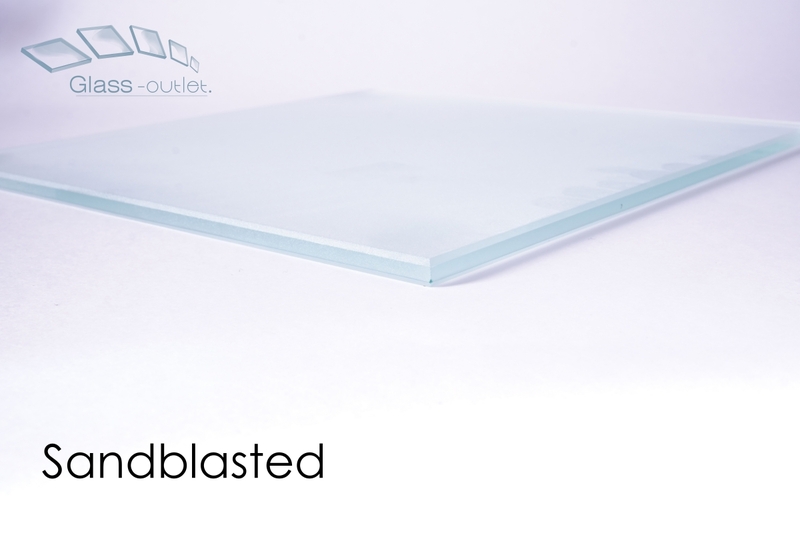 Frosted finish is a desirable decorative finish used in a variety of areas such as doors, splash backs, shelves, table tops etc. Works well if illuminated, light disperses well on the surface creating a pleasant glow. Easier to clean than sandblasting. Need to be careful with the etched surface as it is prone to fingerprints and smudging, ideally ensure the etched surface is not exposed to where it can easily be touched or marked e.g. Ensure etched surface on a shelf is at the bottom not top. 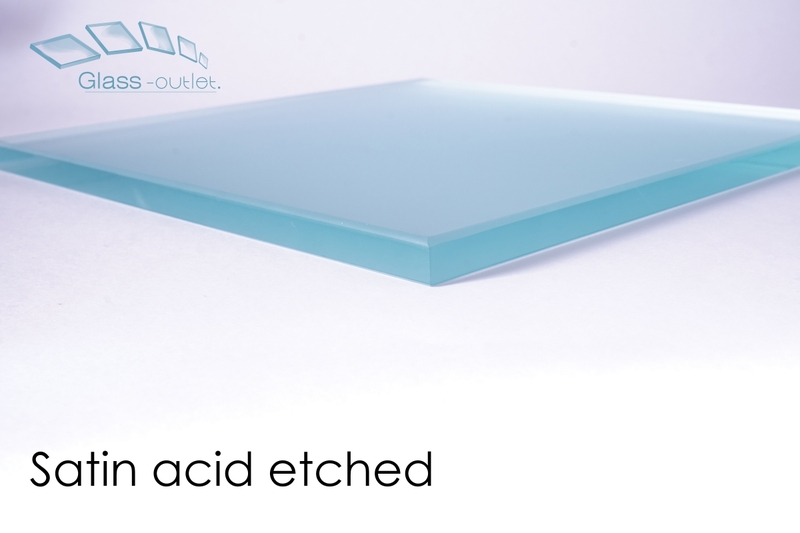 Acid etching on sheets of glass can only be done from the manufacture stage, making acid etching on other glass types and thicknesses difficult and expensive. Regular glass with a tinted effect embedded inside. This glass is striking and can be used almost anywhere to create a unique look and also feel. 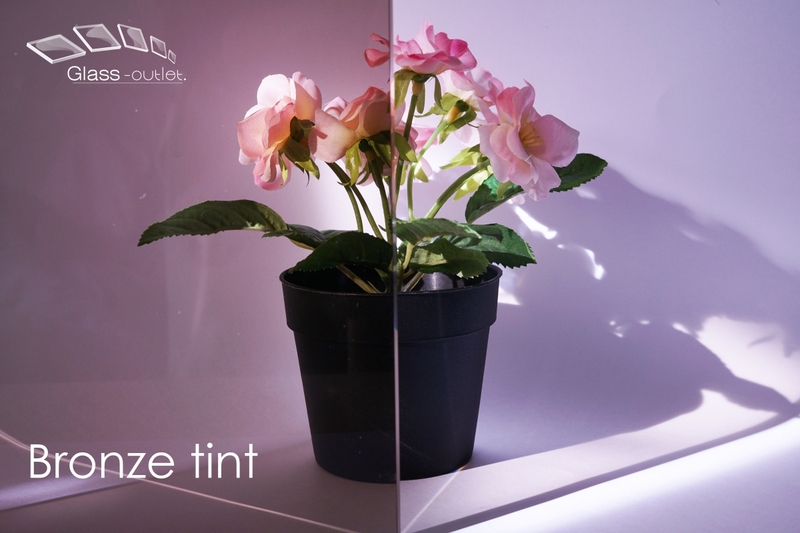 Tinted glass gives the added benefit of diluting the suns rays, great for relaxing an environment if sun glare is an issue. As well as this tinted glass can add a unique look due to its colour in applications such as balustrades, table tops, showers etc. Tinted glass gives that unique touch if needed whilst still maintaining transparency. 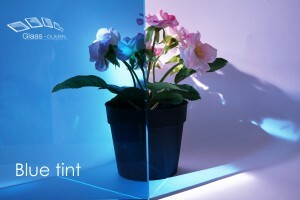 A brilliant way to add a unique touch of colour to glass whilst still maintaining normal glass qualities. Helps reduce glare from sun if required for practical use. 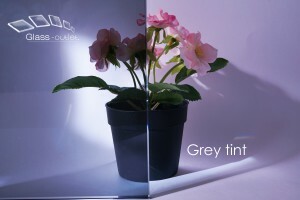 Back painted glass offers endless uses in design and practicality. 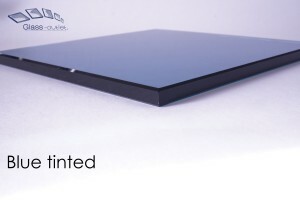 The back surface of the glass is painted to be viewed from the front side. 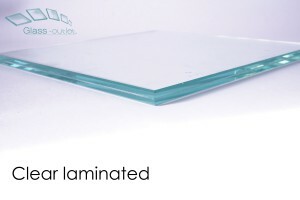 Used heavily for splash-backs, decorative glass, table tops, wall cladding etc. Painted glass can be used anywhere only limited by your imagination. We match to all RAL colour codes as well as british standards, or colour match to your specific shade. Add a touch of glitter to the paint to create beautiful glimmering coloured glass, please get in touch to discuss the vast possibilities. 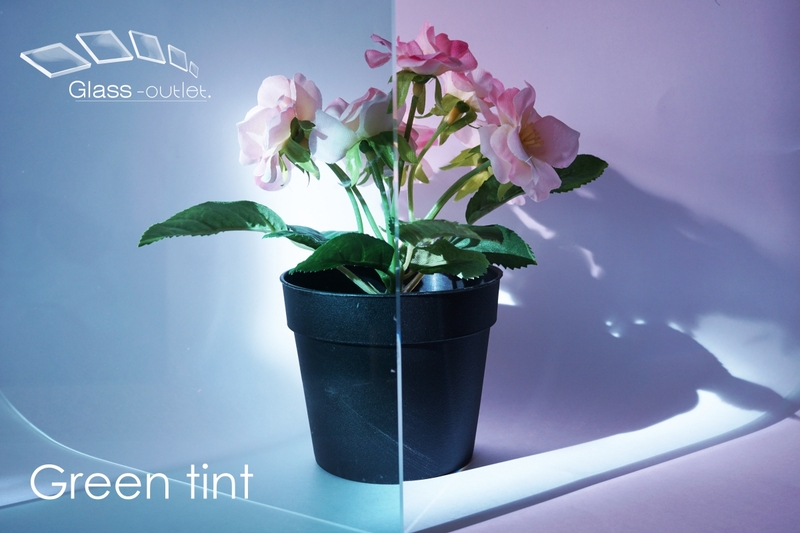 Coloured glass looks stunning in an endless variety of applications. 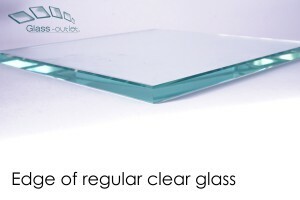 Shown on our website is only the most popular glass that is usually chosen. Should you have a bespoke glass product, please enquire, we can also manufacture toughened laminated glass and other glass types. Contact with your requirements and we will get back to you within 24 hours. Determines how the edges of the glass will be finished. 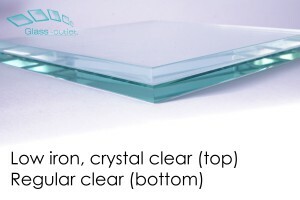 An important feature of the glass, the edge finish is very important to the look and feel of glass products. Provide a safe edge to touch, as well as visually pleasing. We use a flat and arris polish, which we believe is the perfect balance for strength and is aesthetically pleasing to the eye. Polished edges are highly recommended to create an optimum safe edge and provide a finished complete look to the glass. A visually attractive finish, which can be appreciated whilst looking face on, which has made it very popular when used on mirrors. 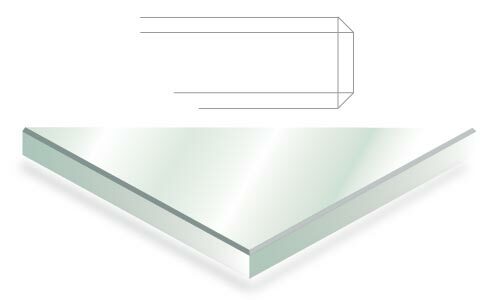 The bevel is the distance that is to be taken off one face of the glass, creating a diamond like cut into the glass. A very attractive look maximised when used on mirrors, but can be applied to any glass type. Edges are not polished but lightly sanded off to allow for safe handling. The exposed edge doesn’t offer neat edges and doesn’t have attractive qualities but it is totally sufficient if the edge is not exposed such as in frames or windows. 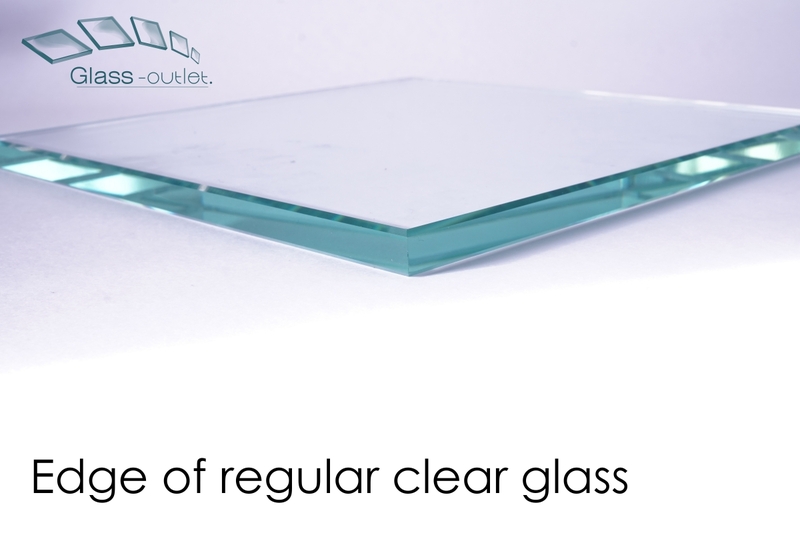 Determines the corner finish of your glass such as rounding the edges for safer corners etc. 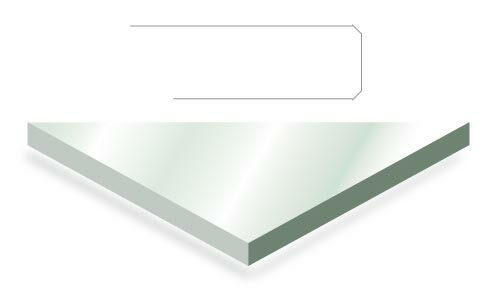 Rounding the corner to a given radius provides optimum safety to the corners of the glass. Depending on your project we can radius the corner up to a maximum of 50mm (please enquire if more is required). Regular 5mm radius corners is sufficient to take off the sharp point and make it safe, any more is entirely optional catered for your use. No corner work, leaves the corner at a point. Fine to use when the corner is not particularly exposed to danger, but highly recommended to avoid when safety is important e.g. if being touched, exposed on table top etc. 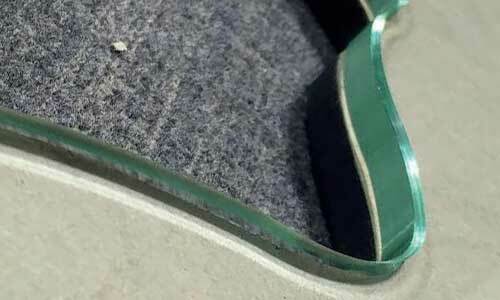 More traditionally known as “dubbed corners”, the sharp corner of the glass it lightly sanded off manually to remove the sharp point. Not as neat as radius corners, dubbed corners are still heavily used just to take off the sharp point and add safety. More product guidelines coming soon………………..